Crowdsourcing research questions in Science – why? New research ideas and questions are usually generated by researchers specialized in their respective fields. As such, they are limited to the capability of researchers and their scientific communities to identify potential gaps in current literature. However, opening up this process to potential beneficiaries of the research (e.g., crowds of patients or medical professionals in the case of health sciences) holds the potential of identifying novel and relevant research questions that have previously not been considered. This bottom-up approach may provide important inspiration for individual researchers and research communities, and benefit the general society by linking societal challenges more closely to scientific research. Open Innovation is a big opportunity for science and leverages new ways of cooperation. At the interface between science, business and society, new and previously uninvolved players can get a voice. When a large crowd from all over the world shares its knowledge and contributes to generating novel ideas, new solutions and especially new research questions will arise. "Crowdsourcing" describes the way in which individual problems or an organization’s tasks can be solved or addressed with the help of crowd-based, external knowledge carriers. This includes (but is not limited to) the use of various online platforms. Generating research questions is a key step within the scientific research cycle. To move science forward, researchers typically generate hypotheses based on the scientific literature and the knowledge currently available within their disciplinary silos. But this can potentially mean overlooking important societal needs of which researchers should be aware. By applying Open Innovation in Science methods, we aim to create an environment in which knowledge that does not originate from within this discourse can be incorporated into research. With this approach, we aim to change conventional research and open up new avenues to improve science. To address the global grande challenges, we need innovative scientific and societal solutions - science and society must work together to find these solutions. 'Open science, open innovation, open to the world' is the motto of the EU Open Science agenda. What a challenge, what an incentive for deep change. Recent statistics indicate that 20% of all individuals develop a mental illness once during their lifetime. In a nutshell, research on mental illnesses is highly relevant on a public health, economic and policy level but comparably little researched. How was CRIS I organized? selecting individual clusters of questions that serve as an inspiration for new research activities. The CRIS I online platform was open for 11 weeks from April to July 2015. During this period, patients, their caregivers, doctors or employers could submit their unsolved problems and open research questions in the field of mental health. Submitting a contribution to CRIS I required a pre-registration on the platform. All contributions were treated as strictly confidential and were, of course, subject to data protection. Participants had the option to delete their profile after submitting their contributions. In this case, the contributions remained in the system but could not be associated with the former profile. Dissemination: What happened to the Results? Based on the research questions generated, the Ludwig Boltzmann Gesellschaft hosted an Ideas Lab in May 2017. 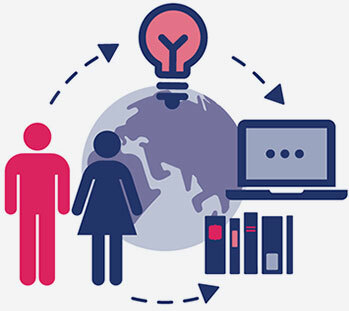 The Ideas Lab served as a catalyst to help scientists from various disciplines conceptualize and formulate research proposals within the scope of the identified research topics. LBG provided in total € 6 million Euros over a period of four years to fund two Ludwig Boltzmann Research Groups on Mental Health for Children and Adolescents formed around the principal investigators and co-investigators arising from the Ideas Lab. 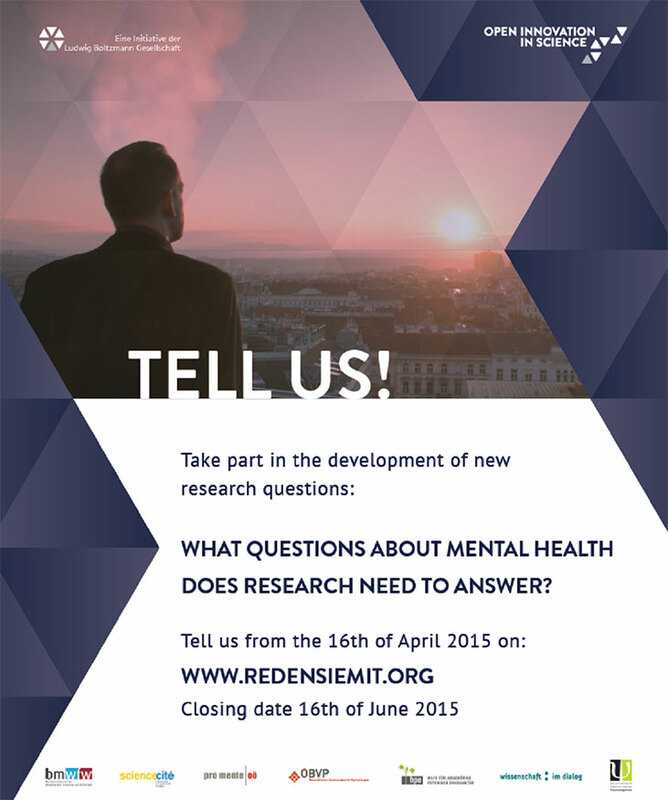 The Research Groups on Mental Health for Children and Adolescents will primarily be based at Austrian Universities. "Crowdsourcing research questions represents a paradigmatic shift in how we approach research in the health sciences. „Tell us!“ aims to close research gaps and target unmet societal needs. From an ethical perspective, including the crowd in an innovative, bottom-up process may lead to highly relevant findings and improved results for both medical practice and research." We ran our second crowdsourcing project from the 8th of May — 31. August 2018. In this project, we aim to generate research questions within the clinical context of orthopedic Traumatology. 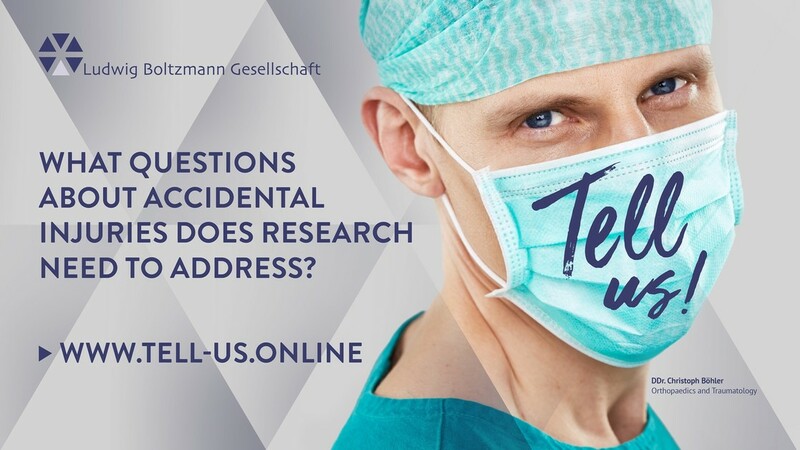 Together with the Ludwig Boltzmann Institute for Experimental and Clinical Traumatology, we hope to gain new insights into the field and crowdsource a myriad of research questions drawn from expert and patient knowledge that has not yet been addressed by research. Updates on the PROJECT can be found here!